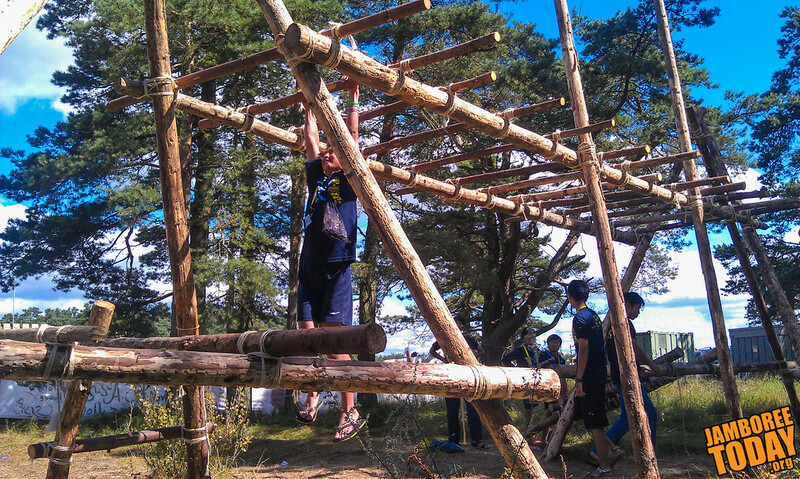 Scouts climb a lashed jungle-gym at the "Primitve Scouting" area on the final day of the 2011 World Scout Jamboree in Kristianstad, Sweden. 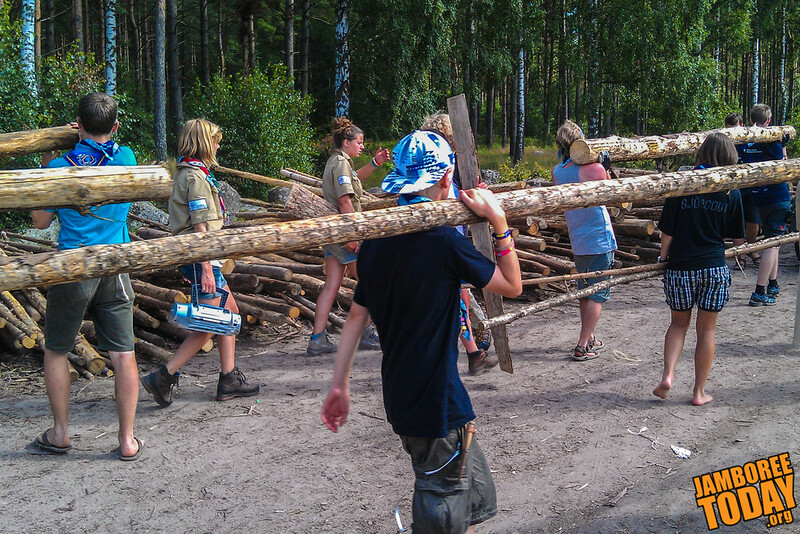 As the end of the jamboree draws near, Scouts pile timbers which were lashed together to construct dozens of intricate campsite gateways and other features. Leave no trace, after all. One last ride! 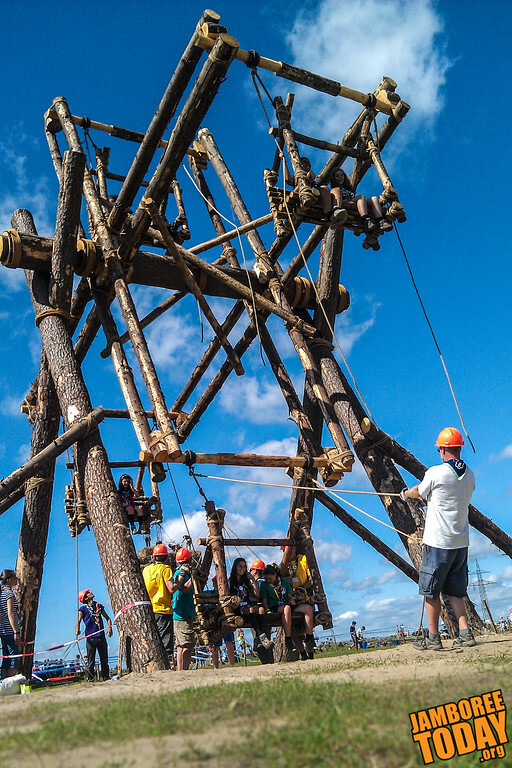 Scouts take a final spin on the manually-powered, lashed-together Ferris wheel constructed in the Tivoli area. Dancers perform a variety of dances inspired by cultures from around the world at the closing arena show. 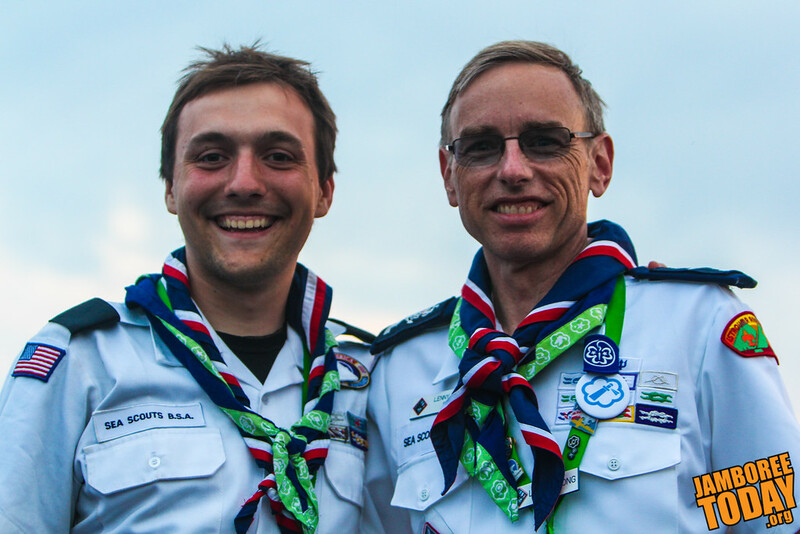 39,000 Scouts from over 130 nations are in attendance. 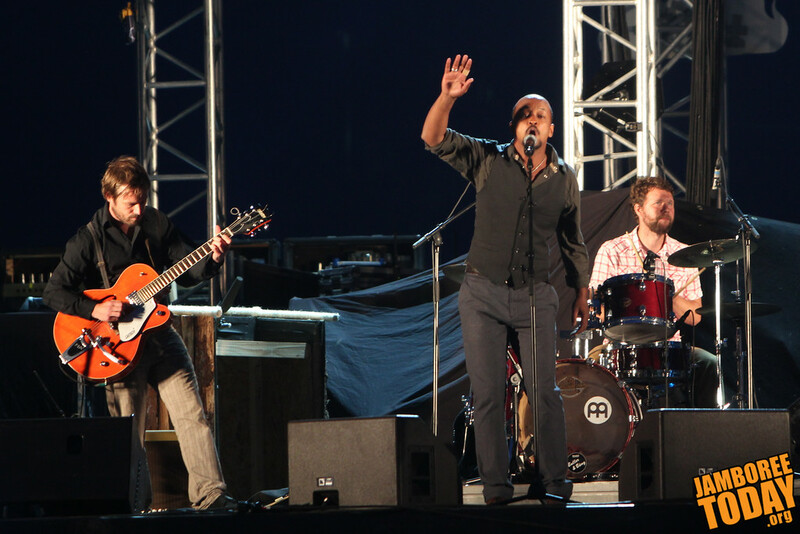 Swedish composer and singer Daniel Lemma, from Nyhamnsläge in Skåne, performs his "Changing the World," the official song at the closing arena show of the 2011 World Scout Jamboree in Rinkaby, Sweden. Check out the official video of the song. 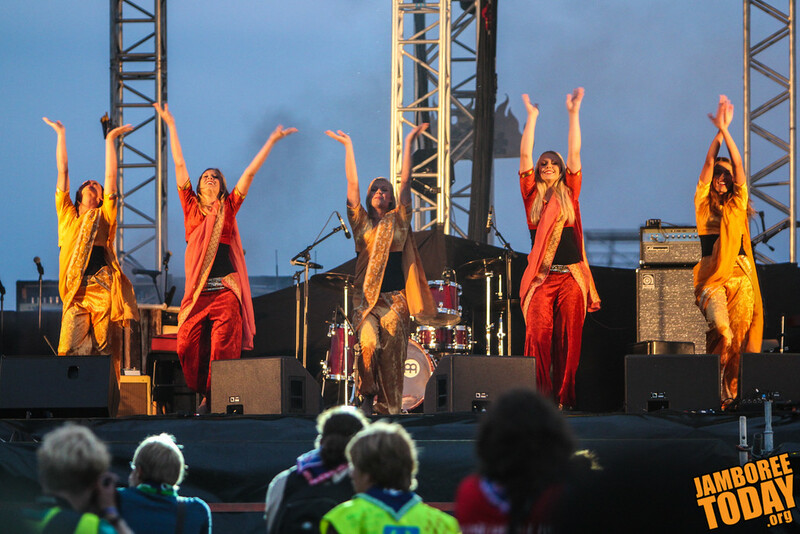 Sea Scouts from the United States bid farewell to the 2011 World Scout Jamboree. Next up: The 2013 National Scout Jamboree debuts at the new Summit Bechtel Reserve. — Eagle Scout Daniel M. Reck has been a member of the Boy Scouts of America for 25 years. He is Jamboree Today's international editor and a member of the International Service Team at the 2011 World Scout Jamboree. Beyond Scouting, Daniel is a college educator and Director of Digital Media for the Northwestern University bands.